Britain Prime Minister Teresa May asked European leaders for concessions to complete Brexit but did not seem to sway anyone. 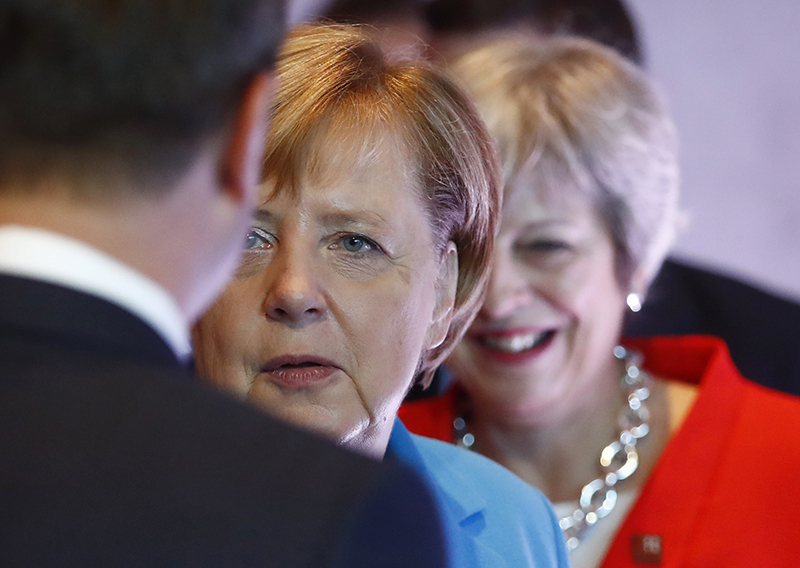 Germany and France, the European Union’s two most powerful countries, struck a downbeat tone about the prospect of a Brexit deal, as the two sides failed to come up with proposals to break the deadlock. U.K. Prime Minister Theresa May gave her EU counterparts a 10-minute speech over dinner on Wednesday night, in which she asked them for concessions to get a deal over the line. As leaders arrived for their meeting in Salzburg on Thursday, they signaled an unwillingness to move. “In the short, medium and long-term, we must defend the interests of the EU,” French President Emmanuel Macron said, adding that Brexit mustn’t put the integrity of the single market at risk. He called on EU leaders to remain united in the face of Brexit, and urged the U.K. to come up with a fix for the Irish border. France consistently takes the hardest line against the U.K. during Brexit discussions in Brussels, EU diplomats say. French officials oppose nearly every idea the EU floats aimed at finding a compromise, insisting that Britain must be seen to lose from Brexit, according to one official who spoke on condition of anonymity. But the Germans were also dissatisfied with May’s presentation, according to a person familiar with the situation. Chancellor Angela Merkel heard nothing new in it, the person said. Merkel went into the meeting without speaking to reporters, as did May. Both sides agree that they want a deal and are penciling in a summit for mid-November to get it done. But neither has come up with a proposal that can break the deadlock on the most pressing issue of all — how to avoid a border on the island of Ireland without cutting Northern Ireland off from the rest of the U.K. EU officials have started drafting an alternative proposal, but diplomats say it won’t address the bits that are most unacceptable to May. The U.K. team was disappointed by leaders’ comments at the summit, according to officials who declined to be named. In the run-up to the summit, diplomats had said EU leaders knew they needed to help May get through a politically perilous time in London. The last thing they want is for her to be toppled by pro-Brexit hardliners in her own party before the U.K.’s withdrawal is complete. May faces a crucial test of her authority on Sept. 30 when the Conservative Party’s annual conference begins in Birmingham, England. The four-day gathering of activists and politicians will culminate in a speech by May in which she will need to convince her own side that she’s still the best person to lead them — and the country — through Brexit. But operation Save May was nowhere to be seen. The EU’s 27 leaders will discuss Brexit over lunch without May. A closing press conference is scheduled for 3 p.m. in Salzburg, and then May will also brief reporters.